Meet Dr Anthony Bennett – a rising star in the veterinary industry! Dr Anthony Bennett is one half of the TV docu series Village Vets. The docu series follows country vets and long-time best mates Dr. James Carroll and Dr. Anthony Bennett as they work with animals big and small. The series highlights their amazing community and the real-life dramas, successes and emergencies at the heart of their rural veterinary practice. We were lucky enough to interview Andrew about his experiences with the show and life in Berry. 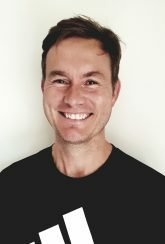 Anthony Graduated in 2004 from Sydney University and has worked at Berry Vet Clinic since graduation. He’s locumed at Bomaderry and Sussex Inlet and opened 2 practices, Kangaroo Valley and All Creatures Vet Clinic Shoalhaven Heads. Dr Bennett has completed VetPrac TTA course in 2014, is an accredited ACV cattle preg tester, worked as an honoury vet at the Royal Easter Show for 5 years, is Head Vet accredited with the Australian Endurance Ride Association and has been President of the Shoalhaven Branch of the AVA for the last 3 years. He is also AQIS livestock export accredited. How do you feel about being promoted as the next HOT VET? I am not sure if I am but thanks! Also, have you seen me? I have a face for radio! What do you think people will learn from watching village vets? We hope that we can appeal to the wider community, not just vets and pet owners. We think we live in a great area and have a wonderful mix of work. It would be nice to think that a young vet or student might watch the show and then aspire to be a country vet. As we all know, the country is crying out for good vets. The filming process itself was initially stressful however with planning and experience we managed the additional rigors. We employed another full-time vet during filming, Dr David Ball and also another nurse to take up the slack from Jim and myself being busy. The crews on the ground were absolutely awesome and were even willing to put the cameras down and pull on a calving chain if needed. We thoroughly enjoyed the experience and we hope that translates into good viewing. What have you learnt from being apart of the show? By being part of the show I have learnt that not everyone is comfortable in front of the camera and that you need to be very conscious of managing people’s sensitivities. We have also learnt a tremendous amount about television and media, which is such a fascinating beast. As vets we are only trained to care for animals however it is so important to communicate your knowledge to your clients. Communicating with a television camera is not all that different to talking to your clients so from that perspective most vets would find being filmed relatively easy. I have also learnt to shake people’s hands about 400 times, during multiple takes, without giggling! Do you have any interesting stories to tell us that happened during filming? During the filming one of the producers was standing beside a cow into which we had placed a bloat trocar. Unfortunately the cow coughed at the same time as the producer opened his mouth and he coped a mouth-full of rumen juice. We also learnt that horses don’t like drones and if you see horses running towards one you are dealing with a very talented cameraman! How do you think this docu series will help promote the veterinary industry? I would really hope that our observational documentary helps promote mixed rural practice as a chosen profession for young vets. As you can see from our show, being in the country does not mean that you can’t provide an extremely high level of care. We love our jobs and the community that we live in and we hope that the show encourages more young people to follow in our footsteps. How do you keep in real in the eyes of the media? What is it like working at the Berry Vet Clinic? Berry vet clinic is a vibrant working environment more akin to a family than a job. We hope that our staff enjoys working for us as much as we enjoy working with them. We think that it is important to have fun at work as you often spend more time with your work colleagues than with you partner or family. Living in a small community also allows you to get to know your clients really well and they become more like friends than clients. If you have played tennis with someone or coached their daughter in touch football you immediately establish a sense of trust that would otherwise take years to cultivate. From the TAFE students through to the vets, everyone on staff realises that they are an important community member and takes pride in their jobs and working as a team. What advise would you give to new graduates & people thinking about becoming a vet? If you are thinking about becoming a vet then you should spend some time doing work experience at a clinic. The public perception of vet science, and the perceived remuneration, is often significantly overrated. If you love animals and have a scientific brain it is the most rewarding profession that you could choose. But don’t do it for the money or you will be sorely disappointed! It is a difficult course to get into so keep trying, getting in straight out of high school is only one option. Have you watched the show? Let us know what you think in the comments below.